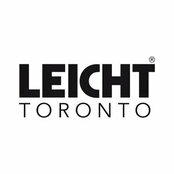 Leicht Toronto - Toronto, ON, CA L4S 0A6. 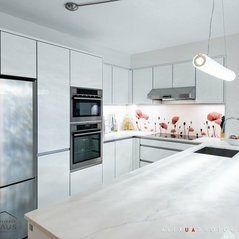 Typical Job Costs:CAD 15,000 - CAD 75,00010ft Wall - L-Shaped, with an Island. 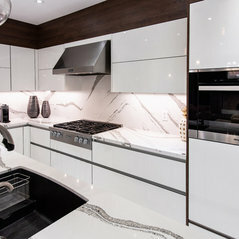 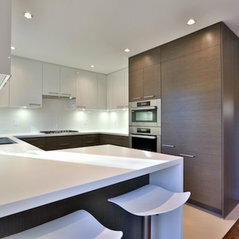 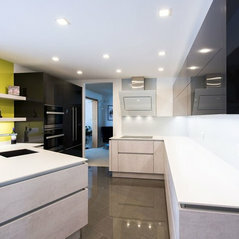 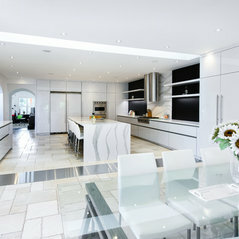 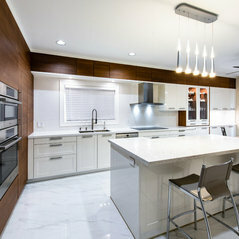 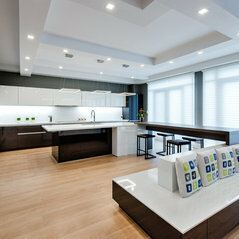 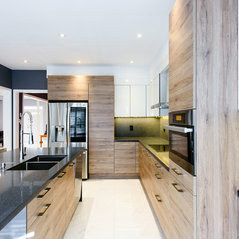 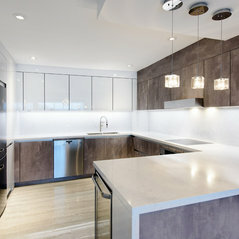 Costs are an approximation, depending on the size of your kitchen, materials used and cabinets chosen. 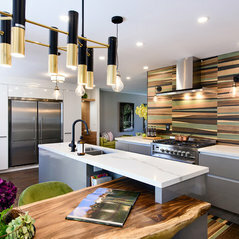 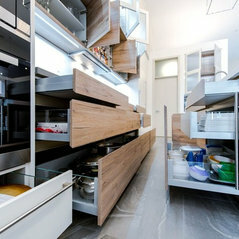 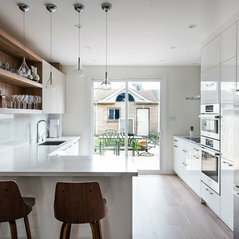 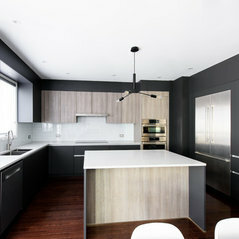 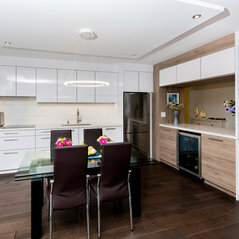 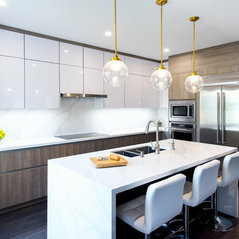 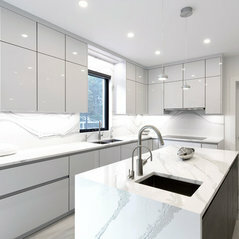 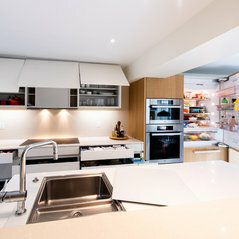 Commented: What type of cabinets are these?Gladly! 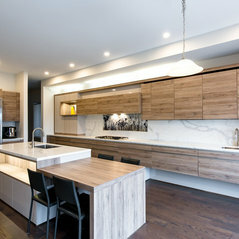 The light wood cabinet door is a laminate, stone oak, Orlando from Leicht. 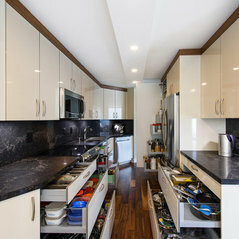 Commented: All blue or blue and white cabinets?I would suggest white on top, blue - for the bottom cabinets and the back of peninsula, visually it will make space bigger.